An all-time favorite! 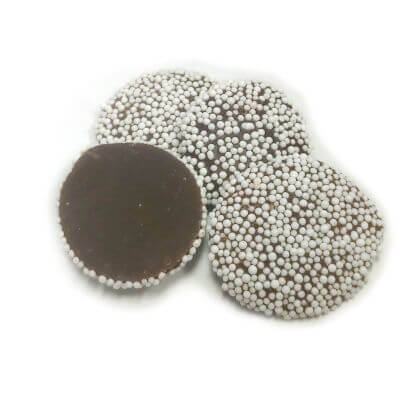 Dark chocolate with crunchy white seeds. 8 ounce bag. Approx. 1 inch in diameter and 8 pieces per ounce.